Before you start your marijuana dispensary, be sure you understand whether or not it's right for you. Managing this type of business is not an easy one. You will have to deal with overhead costs, time management, crop planning, and plenty more. There is a lot associated with this type of business to consider before deciding whether or not it would be the best venture for you. Three recent events will prove seminal in the to-be-written history of the industry and finally announce a pathway for investors and entrepreneurs, sometimes now referred to "ganjapreneurs" or "cannabusinesses". Three developments signal a new regulatory regime is on the way: The US Department of Justice announced it will not interfere with marijuana retail sales as long as all state and federal rules are followed and all taxes are paid; the US Treasury Department's Financial Crimes Enforcement Network issued formal guidance to US banks on how to do business with marijuana firms; and the president of the United States mentioned marijuana and alcohol in the same sentence. This is a comprehensive guide for creating a medical marijuana dispensary or delivery service, growing medical marijuana, and complying with California Law. All material is relevant prior to implementation of MedicalMarijuana Regulation and Safety (MMRSA) in 2018. 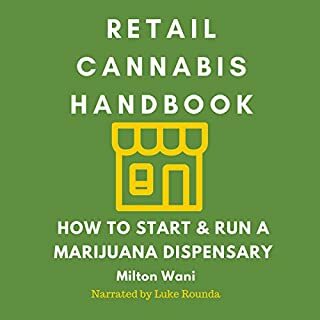 This guidebook provides detailed directions on how to open and operate a California medical marijuana dispensary and collective delivery services. It also provides information on how to legally grow medical marijuana and conform as a medical marijuana patient. An enormous, quasi-dormant underground economy is awakening and large components are coming to the surface. Taylor West, deputy director of the 440-member National Cannabis Industry Association, said, "There is a whole canopy of products that goes beyond plants." He cites cannabis-infused foods and drinks, cannabis oils, butters, tinctures, and salves. 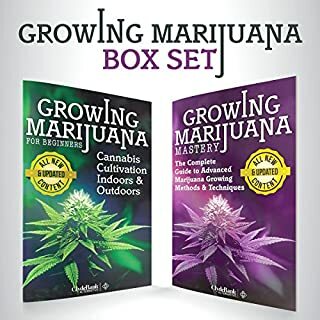 The process of growing marijuana may seem complicated, but this is mainly attributable to not having proper information. Many people unintentionally make growing cannabis a harder task than it is. This guide for the cannabis aficionado has a wealth of information. So you've packed your bags, loaded your van, and are ready to join the "Green Rush" along with thousands of others looking to try their luck at opening and running successful marijuana dispensaries and businesses in states like Arizona, Colorado, Georgia, Alaska and others. The business is big: According to CNBC, the marijuana industry in the U.S alone is worth an estimated $45 billion and it continues to grow. As of January 1, 2014, the state of Colorado became to the first have dispensaries where marijuana could be grown and sold legally. Because of this legalization, medical dispensaries in Colorado are now able to apply for special licenses that allow them to sell marijuana for medical and recreational use to the public. However, the costs of cannabis retail sales don't come cheap: Marijuana dispensaries and businesses can expect to pay tens of thousands on operating licenses and application fees. Background checks and residency requirements for business owners are there to make sure that not anyone can start their own dispensary and sell marijuana. Today, marijuana dispensaries are not just in Colorado but have grown to other states like California, Alaska, Florida and the like. Marijuana dispensaries have the added advantage in that they don't only have to sell weed to card-holding patients, but to recreational smokers as well. Lame basic info the you could get from a article in USA today. Total scam. 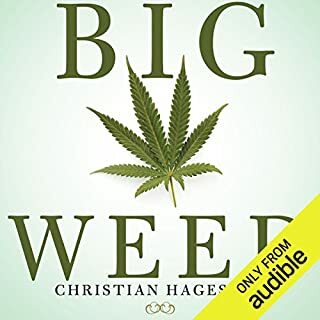 the book was nothing but generalizations and only scratched the surface on Marijuana dispensaries. it did not even mention commercial grows or "grow facilities" I am very disappointed with this writer and book. I am and have been in the industry for some time now, and consult for different clients. I decided to listen to some books while on a long drive and can't stress enough how disappointed I am in this material. the only upside to the entire 22 mins is a brief read (less than a min) on what tyoe of ppw a dispensry may need to start. the narrator did well, only criticism would be the pronunciationof the word indica. 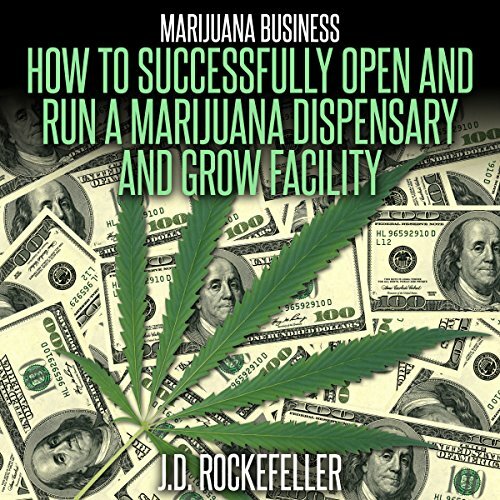 What disappointed you about Marijuana Business: How to Open and Successfully Run a Marijuana Dispensary and Grow Facility? 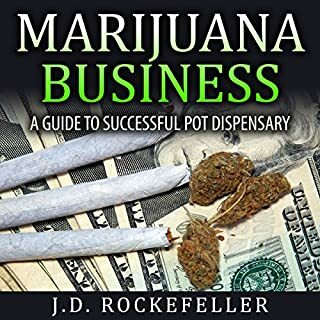 There was literally no information, and as soon as I heard in the beginning that there were dispensaries in Florida, I knew this book was total garbage. There is some good information, primarily about dispensaries. I would have either discussed Grow Facilities as promised in the title or deleted those 2 words because there is barely a mention of the growing side of the industry. 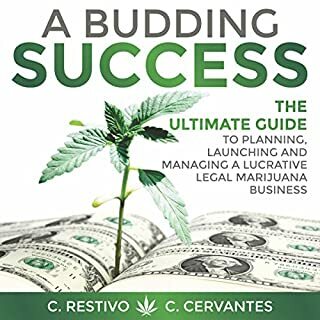 Did Marijuana Business: How to Open and Successfully Run a Marijuana Dispensary and Grow Facility inspire you to do anything? It inspired me to find a book that talks about what it says it does. 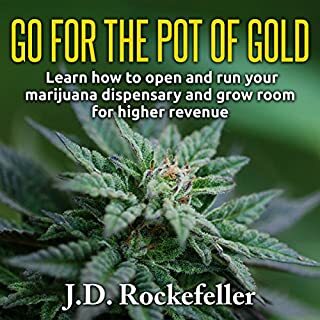 From listening to this Audible , all I Learned was the write new how to start a grow business they did not teach me how to start but explained repetitively and repetitively more that I would need go research to start. however towards the end of the book when explaining prices and how much I would need 100000 200000 "legal fees", whatever that means, information was finally being highlighted and covered but I feel it was cut short because you stop giving numbers and data and statistics in which I would definitely need more of to run a business if I wanted to know the basics I would have looked for a more basic book. I wanted to know specific prices and information and names on what two invest in when came to starting my own grow business. This obvious information simply told me basic politics in the business.